On 29 September, Romania’s Social-Democratic government survived a no-confidence vote in parliament. This was the fourth censure motion submitted by the National Liberals (PNL), the main opposition party, in the last 18 months. Unlike previous motions, though, the most recent one did not target the government’s collective performance, but was filed in response to the prime minister’s formal indictment on corruption charges on 17 September. The initiators hardly mentioned any government activities and exclusively focused on the need to remove the compromised head of government. The criminal investigation against the prime minister was launched by the National Anti-corruption Directorate (DNA) on 5 June on grounds of forgery, tax evasion, money-laundering, and conflicts of interest. Perhaps not coincidentally, the National Liberals filed a censure motion against the government on the same day. However, on that occasion the text of the motion criticised the government’s failure to introduce postal voting for Romanians living abroad. The comfortable majority social democrats and their allies enjoy in both parliamentary chambers allowed PM Ponta to survive not only the no-confidence motion, but also a separate parliamentary vote to have his immunity lifted. Anti-corruption prosecutors formally charged the prime minister and seized his personal assets on 13 July. Shortly thereafter, Victor Ponta stepped down as leader of the ruling Social Democrats but remained in office as head of government. He was temporarily replaced as party leader by Liviu Dragnea, a former deputy prime minister, minister of development, and executive president of the social-democrats, who himself had been forced to leave PM Ponta’s government in May 2015 upon receiving a one-year suspended jail sentence for electoral fraud in the 2012 presidential impeachment referendum. President Iohannis has repeatedly called on the prime minister to step down since 5 June, when the criminal investigation was launched by anti-corruption prosecutors. He urged the prime minister to resign again after his case was formally brought to the High Court for Cassation and Justice on 17 September and expressed support for the censure motion put forward by his National Liberal Party. However, Romania’s Constitution specifically denies the head of state the power to dismiss the prime minister (article 107). The president does have the power to suspend cabinet members from office when a criminal investigation is launched against them – but only when the accusations concern acts committed while in office (article 109). As the prime minister stands accused of criminal activities dating back to past activities as a lawyer, his continuation in government office can only be decided by the parliamentary majority and/or his party. Romania’s Constitution features several requirements for a non-confidence vote: a censure motion must be initiated by at least one quarter of all deputies and senators, who are not allowed to endorse another motion of this type during each of the two ordinary parliamentary sessions each year, unless the government invokes a confidence vote (articles 113-114). Under these circumstances, the government is unlikely to face more than one censure motion per legislative session. As the opposition has just availed of this opportunity at the beginning of the autumn session, the government can rest assured that it will not be confronted with another no-confidence vote until at least February 2016. Thus, the only threat to PM Ponta’s office can come from his own party. Social Democrats have scheduled elections for the new party leader on 11 October, followed by an extraordinary congress on 18 October. Liviu Dragnea, PSD’s current interim president, has announced his candidacy for the party leadership, while Victor Ponta said he would not run anymore. With both local and general elections scheduled for 2016, it remains to be seen whether or how long the new party leadership will continue to grant unconditional support to a prime minister facing a corruption trial while in office. This entry was posted in Europe, Romania and tagged censure motion, Cohabitation, Corruption, corruption scandal, no-confidence vote on September 30, 2015 by Cristina Bucur. It has been more than a year since I first wrote on this blog about the suspension of Nauruan MPs from parliament on the grounds that they were being overly critical of the current government’s development strategy. Despite repeated attempts to overturn the ban, the suspension remains. And, in the interim, the situation has escalated. As long-time readers may recall, the initial controversy surrounded the suspension of three MPs. Since then, the number has risen to five with two further MPs, Sprent Dabwido and Squire Jeremiah, now held in custody for their participation in protests outside parliament. The other three are Dr Kieran Keke, Roland Kun and Matthew Batsiua. Initially Batsiua was also arrested for his role in the protests but has since been released under strict bail conditions. The protests that led to these arrests were related to the ongoing suspensions. The Australian-based lawyer of the accused was recently refused entry into the country to mount a case in their defence. The suspensions have heightened international interest in the tiny island nation. In June, the Australian Broadcasting Commission reported that a Queensland phosphate importer had allegedly paid hundreds of thousands of dollars to Nauru’s justice minister, David Adeang, the President, Baron Waqa, and other government MPs. Adeang, often cited as the defacto head of government, denied the claims, first raised in the Nauruan parliament in 2009, and accused the Australian media of campaigning to destabilise Nauru. Likewise, President Waqa has stated that its larger neighbours will not bully Nauru and accused the foreign media of bias. In June, he argued that the arrests had nothing to do with the MPs speaking out against the government but reflected the fact that they were ringleaders of a violent protest aimed at toppling a democratically elected government in order to further their thirst for political power. The government has labelled the protest a riot in which several police was injured. The New Zealand government has been at the forefront of international condemnation of the current state of affairs. In July the parliament unanimously passed a motion expressing concern about the political situation in Nauru. More recently, the New Zealand Foreign Minister, Murray McCully, has suspended aid amounting to around $750,000 annually to Nauru. Australia, on the other hand, the largest aid donor to Nauru and financier of an asylum seeker processing facility on the island, has refused to go this far. Australian Foreign Minister, Julie Bishop, has expressed dismay at the way the situation has unfolded and has sought assurances from the Nauruan government that the rule of law will be upheld. New head of the Pacific Island Forum, Dame Meg Taylor, has likewise expressed concern but dismissed the notion that the regional body will take action. These claims and counter claims have emerged against the backdrop of an Australian parliamentary inquiry into the management and operation of the asylum seeker detention facility on Nauru, including the safety of children and their families from alleged sexual abuse and criminal conduct. This entry was posted in Nauru, Pacific Islands and tagged democracy, nauru on September 29, 2015 by Jack Corbett. On 31 July Madagascar headed to the polls to elect local councils. The elections were one of last pieces of the transition roadmap that was designed to return the country to democracy after the coup in January 2009. Since it was finalised, the transition process has been implemented relatively successfully, but the situation remains fragile. In the coup President Marc Ravalomanana was ousted from power. He sought exile in South Africa and was threatened with immediate arrest if he returned to Madagascar. In the end, he returned in October 2014 and was indeed arrested on his arrival. He was released only in May 2015 following an intervention by President Hery Rajaonarimampianina. These events encapsulate the difficult return to democracy in Madagascar. In 2010 a new Constitution was approved in a referendum. In January 2014 Rajaonarimampianina was elected in a presidential election that was considered to be generally fair by international observers, even though some forces within the country contested the result. In part, this was due to what happened in the lead up to the vote. As part of the transition deal both former President Marc Ravalomanana and the coup leader and new president, Andry Rajoelina, declared that they would not stand for election. However, Ravalomanana’s wife, Lalao Ravalomanana, announced her candidacy, to which Rajoelina responded by presenting himself for election too, seeing her as a proxy for her husband. In the end, the Election Commission ruled against the candidacy of both Lalao Ravalomanana and Rajoelina as well as another former president, Didier Ratsiraka. Rajaonarimampianina, who was seen as the anti-Ravalomanana candidate, won the election, despite coming only second at the first ballot. Legislative elections were held at the same time, returning a divided parliament. President Rajaonarimampianina’s presidency has not been uneventful. He soon distanced himself from Rajoelina and tried to shape the formation of the new government. In May 2015 he was subject to an impeachment attempt by deputies opposed to his governing style, even though the presidency has only limited powers under the 2010 semi-presidential constitution. The most recent part of the transition process was the local elections in late July where the most important contest was the election of the mayor of the capital, Antananarivo. Here, turnout was low at about 30%. However, Lalao Ravalomanana was easily elected, winning 56% of the vote. Her TIM party, which was the former vehicle of President Ravalomanana himself, also emerged with a majority of seats on the city council. In general, though, TIM did not do so well across the island as a whole. Indeed, even though it lost this contest, President Rajaonarimampianina’s HVM party did relatively well at the elections, including in areas that had formerly been a stronghold of the TIM party. Senate elections are due to be held by the end of the year. The question is whether Lalao Ravalomanana is merely the stalking horse for her husband. He is now free to come and go in the country, having returned freely from a foreign visit only recently. He is also back in charge of his media outlets, giving him direct access to the airwaves. However, he remains a very divisive figure on the island. Moreover, the parliament is still very divided. The transition has been managed relatively well so far, but stern tests are still ahead. This entry was posted in Africa, Madagascar and tagged democracy, local elections, Madagascar on September 28, 2015 by Robert Elgie. Insisting that existing NGOs were unrepresentative of Russian society, Putin established the system of Public Chambers [Obshchestvennye palaty] in April 2005, shortly after the color revolutions in Georgia and Ukraine, as a state-sanctioned alternative to traditional liberal institutions. Filled for the most part with pro-regime experts and dignitaries, the organization has acquired more responsibilities in recent years and is now a quasi-parliament, a quarter of whose members are elected through an internet poll. [ii] The Public Chamber of the Russian Federation sits atop a network of regional chambers and affiliated public councils that monitor the activities of executive agencies. [iii] Although it is tempting to write off this Russian experiment in horizontal accountability as yet another example of “virtual politics,”[iv] it does provide opportunities for feedback, especially from those whose concerns about specific policies and organizations do not spring from a general critique of the regime. Besides organizations like the Public Chambers, Putin has introduced or enhanced other institutions that seek to illustrate the President’s attentiveness and accessibility to citizens. Perhaps the most ambitious and risky of these efforts is the prime-time call-in show entitled Direct Line with Vladimir Putin. Instead of regularly receiving supplicants at Court, like traditional rulers, Russia’s republican monarch of the digital age makes himself available periodically to the nation in a marathon television broadcast in which he answers questions posed by text, email, letters, Skype, and by anchors and selected members of the studio audience. Over the years Putin has developed a mastery of this form of communication, alternating between stern statements directed at the country’s enemies to wonkish discussions of obscure areas of public policy and humorous banter with questioners. Accessible on the presidential website, the monthly and annual reports provide a treasure trove of information about the concerns of Russian citizens, which are broken down by policy area and by the region of the sender. [ix] The changing focus of citizen concerns is evident in these materials, witness the 32 percent month-on-month increase from August 2014 to August 2015 in the number of communications relating to the economy, which has produced considerable anxiety of late because of the effects of Western sanctions and the declining oil price. There was an even greater percentage decrease in the number of requests and complaints relating to the State/Society/Politics rubric, reflecting perhaps greater popular resignation about the shape of the political order amid the further consolidation of power in the hands of Putin and his team. Whether directed to the President’s complaints office or parallel institutions in agencies like the Procuracy, these messages–a quintessential form of individual political action–serve as a barometer of the public mood and represent a low-cost, low-risk way of exhibiting openness to public voice while avoiding the dangers to the regime of collective political action. 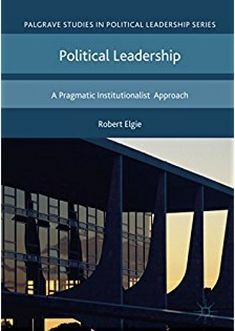 It is unclear, however, how responsive political leaders are in competitive authoritarian regimes to the signals received through these alternatives to liberal institutions. It is also difficult to assess how effective such alternatives are with the public as substitutes for the traditional means of legitimation found in democratic countries. Inviting voice without accepting accountability may be difficult to sustain as a long-term strategy in the absence of levels of repression and information control that are higher than those in place at the moment in Russia and other competitive authoritarian regimes. [ii] The Russian president selects another quarter of the members and regional Public Chambers select half of the body. [iv] Andrew Wilson, Virtual Politics: Faking Democracy in the Post-Communist World (New Haven: Yale University Press, 2005). [vi] Ibid., at 3:57:00. For an assessment of this program as political and discursive performance, see Lara Ryazanova-Clarke, “The discourse of a spectacle at the end of the presidential term,” in Helena Goscilo (ed. ), Putin as Celebrity and Cultural Icon (London: Routledge, 2013), pp. 104-110. [vii] There is a rich literature on citizen complaints in Russia; see, for example, Sheila Fitzpatrick, “Supplicants and Citizens: Public Letter-Writing in Soviet Russia in the 1930’s,” Slavic Review, vol. 55, no. 1 (Spring 1996), pp. 78-105. Studies of the contemporary complaint bureaucracy include Laura A. Henry, “Complaint-Making as Political Participation in Contemporary Russia,” Communist and Post-Communist Studies, vol. 45, nos. 3-4 (September-December 2012), pp. 243-254; Danielle N. Lussier, “Contacting and Complaining: Political Participation and the Failure of Democracy in Russia,” Post-Soviet Affairs, vol. 27, no. 3 (July-September 2011), pp. 289-325; and Joshua Solomon, Citizen-State Relations in Hybrid Regimes: The Case of the Correspondence Directorate of the Russian Presidency, Senior Thesis, Stetson University, May 2013. This entry was posted in Europe, Russia and tagged Accountability, Putin, Russia on September 23, 2015 by Eugene Huskey. Last week, the Republican Party held its second presidential candidate debate. For those of us who follow presidential politics closely, it seems we are already well into the 2016 campaign cycle. Yet, voters in Iowa and New Hampshire (the first contests) will not go to the polls until February 2016, and the general election is still more than a year away. This shows an important reality about American politics—we now live in a perpetual presidential campaign. Not only is running for president a complex and at times chaotic process, but the campaign seasons now seem to overlap from one to the next as speculation begins about who the contenders will be for the next election weeks before the polls close in the current election. In reality, the 2016 campaign began in October 2012 as political pundits began to look past the Obama v. Romney matchup in November 2012 to begin handicapping the next race four years later. The American news media, which loves to speculate on and predict future political outcomes, has contributed greatly to this trend. The horse race coverage (as in, who’s ahead, who’s behind, who’s winning, who’s losing, etc.) that has dominated campaign coverage in recent decades has found a more permanent home as an everyday staple of political reporting. Constant stories about candidates, their fundraising efforts, and where they place in the latest opinion polls focus on the game of politics and the personalities of the candidates as opposed to news coverage that offers a substantive discussion of policy alternatives. The lack of substance also leaves tremendous room for coverage that is not only at times vapid, but negative in tone. Other consequences include the fact that longer campaigns cost more money, and in each successive presidential campaign in recent decades new fundraising and spending records have been toppled. It’s not surprising that many American voters feel apathetic and alienated from the political system, and that voter turnout is low. At present, we find ourselves nearing the end of what is known as the pre-nomination or invisible primary period. Journalist Arthur Hadley was the first to coin the term “invisible primary” in 1976, but as it has evolved in recent campaigns, the activities during this period are now far from invisible. During this phase, presidential candidates are vetted by party officials and major financial backers, as well as the news media, as candidates attempt to showcase their viability as candidates for the general election. Two things matter more than anything else during this time—raising money and media coverage. These two things also contribute to higher standing in early polls, which can be construed as candidate viability. A two-tiered campaign often emerges during this phase of the campaign. A handful of candidates are considered viable early on, while others never break through to the top-tier of serious contenders (and as a result, do not receive much attention from the media or donors). Who are the top-tier contenders for 2016? The Republican field started out with 17 candidates, but has winnowed to 16 with the early exit of former Texas Governor Rick Perry. In all likelihood, several other candidacies will end in the next few months as well. At present, the top tier includes three anti-establishment candidates who have never held political office: real estate mogul and reality television star Donald Trump, retired pediatric neurosurgeon Dr. Ben Carson, and former Hewlett-Packard CEO Carly Fiorina. Also in the top tier are former Florida Governor Jeb Bush (son of President George H.W. Bush and brother of President George W. Bush), Florida Senator Marco Rubio, and Ohio Governor John Kasich. Three other candidates are near the top tier: New Jersey Governor Chris Christie, Wisconsin Governor Scott Walker, and Texas Senator Ted Cruz. All three need to increase donations to their campaigns and support in public opinion polls quickly to avoid an early exit from the race. On the Democratic side, what once seemed an inevitable victory for Hillary Clinton in the race for her party’s nomination is inevitable no more. Her support has plummeted in numerous polls as a majority of voters find her dishonest and untrustworthy due, in part, to the continuing story of the private e-mail server she had installed in her home during her years as Secretary of State (2009-2013), as well as the pay-to-play allegations about donations to the Clinton Foundation. As a result, Vermont Senator Bernie Sanders, a self-described democratic socialist, leads or is tied with Clinton in polls in Iowa and New Hampshire, and his campaign has generated large crowds and intense excitement from the progressive base of the Democratic Party. Clinton, on the other hand, at times struggles to fill public venues when she campaigns, and has not provided a consistent campaign message (contributing to what many say is her lack of authenticity as a candidate). As a result, speculation persists about a possible late entry into the race by Vice President Joe Biden. While it is still much too early to speculate about who will win each party’s nomination, there are a few things to watch in the coming months. First, campaign contributions are an important indicator of whether a candidate is viable beyond the pre-nomination phase. Campaign organization and the ground game (which includes volunteers who focus on voter registration and turnout) also shows viability and strength of a campaign. These can provide early momentum heading into the first state contests. Yet, while both Clinton and Bush have greatly outpaced their competitors in fundraising to date, neither is currently a lock for their party’s respective nominations. Second, the plethora of polls notwithstanding, most are not accurate predictors this early of how voters will actually behave. National polls at this point are meaningless, as the party nomination is won by competing for delegates to the national convention in each state contest. A high standing in a September 2015 poll will not guarantee support from voters come February 2016. This is particularly true for Trump, who may be dominating Republican polls and media coverage (because of name recognition and the fact that his no-holds-barred campaign style makes for good headlines), but it remains to be seen if his support in polls is actually coming from people who are registered or likely voters in the primary contests. Third, related to a candidate’s standing in the polls, a good debate performance does not guarantee any victories in primary contests. While Fiorina was the consensus winner from last week’s Republican debate, her strong performance may not translate into a win in any of the state contests. She may, however, be positioning herself to be a serious contender as the eventual nominee’s running mate, or, a high-level cabinet position in a Republican administration. The bottom line is that while political junkies love all the early coverage and gamesmanship of the pre-primary period, it remains a long road ahead before the final votes are cast to determine who will be the next President of the United States. And, if the history of presidential campaigns has taught us nothing else, anything can happen between now and November 2016. This entry was posted in United States of America and tagged presidential election, USA on September 22, 2015 by Lori Cox Han. Large-n comparative studies found that democracies with a president-parliamentary constitution perform worse than those with a premier-presidential constitution. Recent political developments in Guinea-Bissau, a presidential-parliamentary (electoral) democracy, neatly demonstrate the system’s inherent weakness in resolving conflict between the president and the national assembly. On 17 September President José Mário Vaz swore in Carlos Correia as the new prime minister. Correia is Guinea-Bissau’s third prime minister in a period of five weeks. Under president-parliamentary democracies, the prime minister and cabinet are dually accountable to the president and assembly. So, both agents of the electorate (i.e. president and assembly) are constitutionally empowered to dismiss the prime minister and cabinet. Political instability is looming when the president does not share the prime minister’s policy agenda and intra-executive conflict delays or even halts decision making. Obviously, intra-executive conflict is most likely under cohabitation where the president and prime minister are from different parties and where the president’s party is not represented in the cabinet. Yet, political developments in Guinea-Bissau illustrate that even under unified majority government where the president, prime minister and parliamentary majority belong to the same political party – semi-presidentialism’s best political situation for minimizing institutional conflict – may cause a damaging power struggle between the president and the national assembly over the appointment of a prime minister. In April 2014, PAIGC candidate Vaz was elected president. The PAIGC also won the legislative elections and the party’s president Domingos Simões Pereira was appointed prime minister in July 2014. As early as in November 2014, the ICG reported that ‘ongoing changes in distribution of power and resources generated tensions within ruling PAIGC’, in particular about the nomination of the Interior and Defence Minister. Intra-executive tensions surged when in June this year the former Defence Minister (2011-2012) and Minister of Presidential Affairs Baciro Djá resigned. Following Djá’s resignation, Prime Minister Pereira, probably anticipating his dismissal, asked for a vote of confidence in his government. Even though lawmakers unanimously passed the confidence motion, the President sacked Prime Minister Pereira on 12 August 2015. Vaz said his dispute with Pereira arose from a number of issues, including the appointment of a new armed forces chief. The dismissal of Pereira has led to a prime ministerial merry-go-round. Vaz appointed Baciro Djá as the new Prime Minister. The National Assembly, accusing the President of a ‘constitutional coup’ adopted a resolution to remove Djá, which the President simply ignored. Meanwhile, a new Government was sworn in on 8 September. In a last ditch attempt to remove the new Prime Minister, PAIGC deputies brought the case to Guinea-Bissau’s Supreme Court of Justice, arguing that the appointment of Djá was unconstitutional. According to them, Vaz had failed to comply with the Constitution, which states that the president needs to consult with the political parties represented in parliament before appointing a prime minister. The Court backed the Parliament’s view and ruled that Prime Minister Djá’s appointment was indeed unconstitutional. Following the Court’s ruling, Djá tendered his resignation. His government had lasted only 2 days. On 17 September President Vaz accepted the ruling party’s candidate and swore in Correia as the new Prime Minister. Correia has already served as prime minister in the past (1991-1994, 1997-1998, 2008-2009). The question remains whether the Court’s ruling will encourage the President to cooperate with the new Prime Minister and parliamentary majority. ELGIE, R. 2011. Semi-Presidentialism: Sub-Types and Democratic Performance, Oxford, Oxford University Press, MOESTRUP, S. 2007. Semi-Presidentialism in Young Democracies: Help or Hindrance? In: ELGIE, R. & MOESTRUP, S. (eds.) Semi-Presidentialism Outside Europe: A Comparative Study. London: Routledge. SKACH, C. 2005. Borrowing Constitutional Designs: Constitutional Law in Weimar Germany, Princeton, NJ, Princeton University Press. This entry was posted in Africa, Guinea-Bissau, Semi-presidentialism and tagged president-parliamentarism, unified majority government on September 21, 2015 by Lydia Beuman. This is a guest post by Jeremy Gelman, Gilad Wilkenfeld and E. Scott Adler. It summaries their recent article “The Opportunistic President: How U.S. Presidents Determine Their Legislative Programs” that appeared in Legislative Studies Quarterly, August 2015. In recent weeks, U.S. presidential candidates have begun staking out policy positions to distinguish themselves from their partisan rivals. The Republican candidates have focused a great deal on immigration and foreign policy while the Democrats have emphasized fixing the criminal justice system and relieving student debt. After the new president is inaugurated in 16 months, will his or her legislative agenda include any of these proposals? More generally, what issues should we expect the next president to bring before Congress? In our recently published article, “The Opportunistic President: How U.S. Presidents Determine Their Legislative Programs” (Legislative Studies Quarterly, August 2015), we seek to answer what systematic factors shape the content of presidents’ legislative programs. We argue that presidents focus their agendas around reliable lawmaking opportunities, such as expiring government programs and publicly salient issues. In these cases, exogenous factors ensure that Congress will work on such policy areas anyway. Presidents use these opportunities as a way to enhance their influence in the lawmaking process, particularly by proposing their own solutions before Congress is able to act. Our theory contrasts with conventional accounts of how chief executives’ determine their agendas. Others argue presidents select issues based on their campaign promises or expand their agendas’ scopes when they are popular or their party controls Congress. We argue presidents rely on legislative opportunities for two reasons. First, by focusing on expiring programs and salient issues, presidents can gain more policy successes from their legislative programs. Working with Congress on topical challenges allows administrations to move policies closer to the presidents’ preferred positions. Second, there is a political dimension to this strategy. Since presidential effectiveness is often measured by how much action Congress takes on legislation he proposes, presidents can increases these potential credit-claiming opportunities by staking out positions on issues that Congress is obligated to consider. To test our theory, as well as other claims regarding campaign promises, presidential approval, and Congress’s composition, we gathered data on every presidential legislative proposal sent to Congress from 1981 to 2008. Using information on expiring programs, public salience, campaign promises, and presidential approval, we examined the variation in the number of legislative requests presidents send to Congress in the 12 most active policy areas in U.S. politics. As expected, presidents send Congress more legislative requests on policies in which a major program is expiring or are publicly salient. Considering presidential program size, our findings suggest that presidents consistently focus on expirations and salience when deciding their agenda. For instance, as a policy area moves from having few to many expiring programs, presidents increase the number of policy requests on that issue by a third. Similarly, as an issue becomes publicly salient, presidents nearly triple their legislative requests on that policy area. We show these effects graphically by plotting the expected count of presidential legislative requests and changes in an issue’s salience or number of expiring programs. While the substantive changes may seem small as expiring provisions or issue salience increase (a few more requests in a given policy area), across a dozen policy areas, the aggregate effect is large. A typical presidential agenda includes about 200 legislative requests. Our results suggest many of these proposals will be on topics that require reauthorization or are prominent in the public agenda, regardless of the president’s personal issue priorities. Additionally, we do not find any consistent support for the campaign promises and presidential capital hypotheses. Presidents do not expand the scopes of their agendas when they are more popular or have a favorable Congress to work with. We find inconsistent evidence that presidents send more legislative requests on topics related to their campaign promises. From a practical standpoint, our results help answer our initial questions. What issues will the new U.S. president focus on in 2017? While the candidates may be talking about immigration or student debt reform today, this does not necessarily mean these issues will be a priority in the new administration. The new president may follow-thru with a few campaign promises, but these policies do not compose the majority of the president’s legislative agenda. No matter who wins office, it is very likely the new president will also request Congress renew the national flood insurance program and new funding for health centers. While not hot-button issues, these programs expire in 2017 and are likely to attract presidential attention. Assuming the issues related to race remain a salient issue for many Americans, the new president, regardless of party, will probably propose new legislation on that topic as well. Our results suggest that even though the current presidential candidates vary in which issues they say they will prioritize in office, presidents’ base their attention to issues on a systematic, predictable pattern. Jeremy Gelman is a Ph.D. candidate in the Department of Political Science at the University of Michigan. His research interests focus on presidential and congressional behavior, inter-branch bargaining dynamics, and legislative agenda setting. Gelman’s dissertation examines how parties in Congress use their legislative agendas to electioneer by proposing bills that are intended to fail. E. Scott Adler is Professor of Political Science at the University of Colorado Boulder. His expertise is the US Congress, elections, political institutions, and policymaking. Among his books are Why Congressional Reforms Fail: Reelection and the House Committee System(University of Chicago Press 2002) and The Macropolitics of Congress, co-edited with John Lapinski (Princeton University Press 2006). Adler’s most recent book, co-authored with John Wilkerson, is Congress and the Politics of Problem Solving (Cambridge University Press 2012). We used and extended Rudalevige’s (2002) data set on presidential proposals. This entry was posted in United States of America and tagged Legislative agenda, president, USA on September 18, 2015 by Robert Elgie. The Philippines – Presidential Election 2016: Is the Vice-Presidency a Venue? Presidential and legislative elections are scheduled for the Philippines on May 9, 2016. The President and Vice-President are elected separately, so that the elected candidates may come from different parties. Such is the case with current President Benigno Aquino III, from the Liberal Party (LP), and Vice-President Jejomar Binay, formerly of the Demokratikong Pilipino-Lakas ng Bayan (PDP-Laban). President Aquino III is constitutionally prohibited from seeking a second term, but there are no limitations on the Vice President for seeking the presidency. While it may seem that a vice-presidential term is strong endorsement for a candidate to seek the presidency, recent developments in the Philippines provide an interesting take on the whether the vice-presidency is a tenable venue to the presidency. Although the President and the Vice-President may be from different parties, relations are not necessarily strained. After all, VP Binay was a 30-year member of the PDP-Laban, i.e., when it was headed by the late-Senator Benigno Aquino. VP Binay was also considered a strong supporter of the President’s mother, former President Corazon Aquino. Indeed, as recently as 2013, President Aquino III’s LP and Vice-President Binay’s PDP-Laban engaged in a period of team- and coalition-building to launch Team PNoy – comprising a coalition of the LP, the PDP-Laban, the Nacionalista Party, the Nationalist People’s Coalition, the National Unity Party, and the Akbayan Citizens’ Action Party – that partnered with the United Nationalist Alliance (UNA) to field 12 candidates for senatorial elections that year. Notwithstanding that history as well as ongoing work-relations between the President and Vice-President, ties failed to concretize to the point where the President endorsed the VP for the presidency. Instead, the President endorsed LP Manuel Roxas II, the original candidate-elect for the LP in 2010 who stepped aside for Aquino III to run as presidential nominee for the party. This is notwithstanding polls showing Mar Roxas as the least favoured presidential candidate; the President’s endorsement of Mar Roxas also came after the Vice President made clear that he was after the endorsement. In part, the competition-versus-cooperation relations may be stoked by the horse-race mentality from approval polls that appear to regularly pit President against the Vice-President. In part, it may be VP Binay’s ongoing struggle against corruption raps. In part, it may also be due to the VP’s clear and unequivocal pursuit of the presidency: in early 2014, VP Binay resigned from his party of 30 years to launch the UNA party in preparation for his 2016 presidential bid. The president of the PDP-Laban, Senator Aquilino Pimentel III, has signaled clearly that the party will not be endorsing VP Binay for the presidency; of course, he and VP Binay had a major falling out just prior to the VP’s resignation from the PDP-Laban. This entry was posted in Asia, The Philippines and tagged Corruption, party politics, presidential election, road to presidency, vice president on September 17, 2015 by Fiona Yap.